The Health Group affidea Q Diagnostica is a leading company in Diagnostic Imaging Techniques that incorporates the most cutting-edge technology in MRs, CTs and PETs-CTs. With over 25 years of experience, the company is truly committed to quality and accurate Diagnostic Imaging, which means we rely on the best professionals applying the latest technology and delivering excellent patient care. Affidea Q Diagnostica develops, manages, provides support and promotes different centres through its extensive network at national level. A non-invasive technique for medical diagnoses that applies magnetic fields and radiowaves instead of X-rays. This feature makes this technique harmless without any side effects. A technique that produces radiology film-based images by applying X-rays to the relevant anatomic site. A diagnostic procedure that uses x-rays to produce serial x-rays that provide three-dimensional images after computer processing. A digital mammogram is a system in which X-ray film is replaced by solid-state detectors which convert X-rays into electrical signals. A type of imaging diagnosis that measures the radiotracer collected in organs and body tissues previously administered and that acts as dye (contrast). 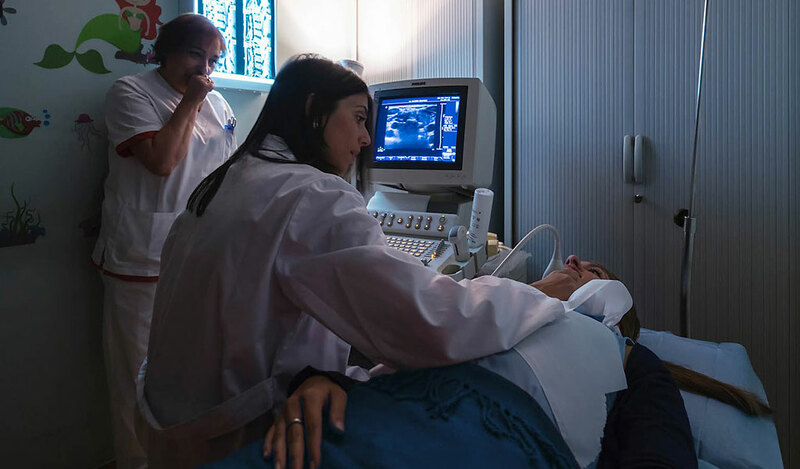 A diagnostic procedure that creates images to view one part of the body using ultrasound waves. 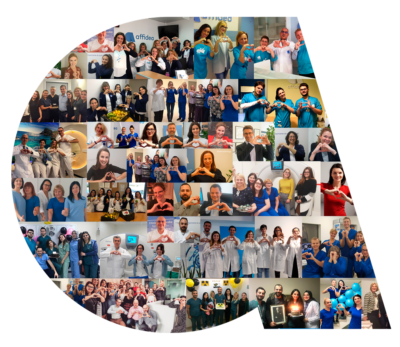 We rely on a team of more than 430 highly-skilled professionals to deliver the best patient care, the highest-quality diagnoses and to make the most accurate diagnoses. Each professional is trained to attain the highest patient satisfaction levels as shown by both, internal and external audits -which include regular patient surveys- and supported by the External Quality Assurance Body. 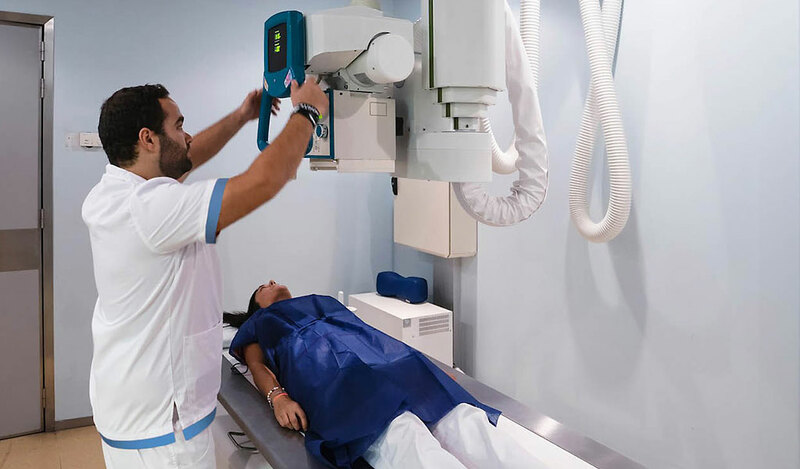 Currently we have 32 Diagnostic Centres across Spain and 2 of which provide PET technology, which is considered the most accurate system for early cancer diagnosis through medical diagnostic imaging. In addition, we have three mobile MR, Mammogram and CT units which represent a major breakthrough bringing diagnosis closer to remote geographical areas where people do not need to travel. To say now that we are activity leaders, with presence in 8 different Autonomous Regions (namely Asturias, Castilla la Mancha, Castilla y León, Catalonia, Madrid, Murcia, Navarra and Valencia), is only logical.